Customer Service » About TID » Who is TID? Travel Insurance. It's all we do. We are experts and are proud to be there when our customers are most in need. 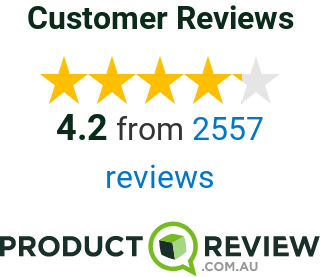 TID is Australia’s #1 online travel insurance company. Underwritten at Lloyd's, our award-winning policy is designed to be helpful, easy and excellent value. Since 2005, we have helped well over 1 million Aussies explore the world. We’re committed to providing extraordinary customer service and offer 24/7 emergency assistance to look after you when you’re away. Our travel app, Tripwise is packed full of tips, tricks and safety information to ensure you make the most of your travels. Together, TID and our customers help fund the Fred Hollows Foundation programs around the world. When you buy a policy with us, we invite you to make a small donation to support these projects. This article was written by Travel Insurance Direct. 1300 843 843 from Australia or +61 2 8263 0483 from Overseas. Travel Insurance Direct ® is a registered trademark of Travel Insurance Direct Pty Limited. Travel Insurance Direct Pty Limited ABN 30 121 659 470 AR305589, is an authorised representative of nib Travel Services (Australia) Pty Ltd ABN 81 115 932 173, AFS Licence No. 308461. This is general advice and you should consider if this product suits your needs. Before you buy, please read the Product Disclosure Statement. This insurance is underwritten by certain underwriters at Lloyd’s.